This page shows you how to backup an existing elabftw installation. 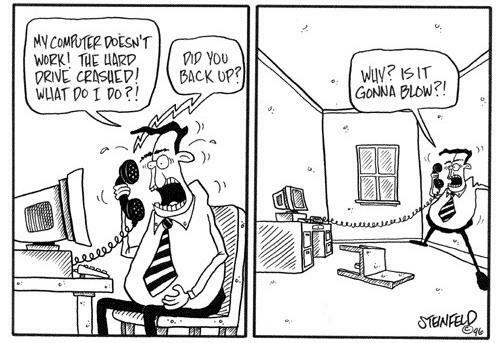 It is important that you take the time to make sure that your backups are working properly. You’ll want to have a little script that do the backup automatically. Here is one way to do it. Adapt it to your needs: see script. If you don’t remember your SQL user/password, look in the config.php file! Make sure to synchronize your files to another computer. Because backuping to the same machine is only half useful. A good backup is automatic. This will run the script everyday at 4am. Copy the /etc/elabftw.yml somewhere safe. Copy the /var/elabftw folder somewhere safe (make a zip or tar archive). If you’ve installed elabftw on a NAS, you don’t have elabctl nor a config file. So you’ll need to issue the commands manually (you can make a script after of course). The environment variables will be correctly replaced; convenient, isn’t it? So just copy paste this and it’ll work. I’m not sure if you can export the config of the containers from the GUI menu. So maybe take a screenshot or save it manually. Worst case scenario if you lose completely this config it’s not a big deal. Put all of the above in a script so you can run it easily next time (make a cronjob if possible). See the backup function of elabctl: https://github.com/elabftw/elabctl/blob/master/elabctl.sh#L40 for inspiration.